Jeanne Bouchard was born on 19 October 1922 in Les Méchins, in the Gaspé, Québec. She grew up on her parents’ farm with two brothers and two sisters. When her parents died, she left home and took a business course at the Couvent du Bon Pasteur in Matane. In 1941, at age 18, Jeanne travelled to La Citadelle de Québec, where she enlisted in the Canadian Women’s Army Corps. She was the 124th woman to enlist. 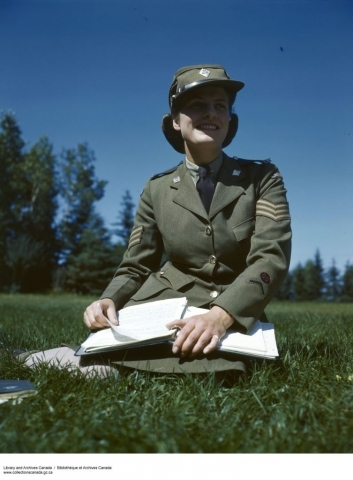 Jeanne underwent four weeks of basic training at Kitchener, Ontario. After graduation, Jeanne took specialized training in stenography and typing in Toronto. On her own time, she also studied languages and accounting. Her efforts paid off and Jeanne was selected as a war administrator. She served in Québec, keeping ledgers for ration management and payroll. Jeanne Bouchard left the military on 24 January 1946. Later that year she married Georges Guimont, who served in the Royal Canadian Air Force during the war. They adopted a son, Bernard Guimont. Jeanne worked for Paquette as an assistant manager. Jeanne Bouchard passed away at Paul Triquet House, a retirement facility for veterans in Québec City, on 5 June 2018. She was 95 years of age. Jeanne enlisted in the Canadian Women’s Army Corps (CWAC). The CWAC was the result of two factors. First, when Canada went to war in September 1939, dozens of unofficial women’s corps sprung up across the country because thousands of women wanted to serve their country. Their leaders lobbied Ottawa to create women’s auxiliary services. 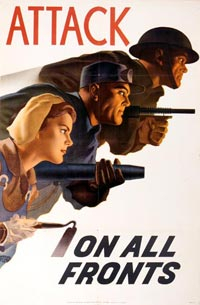 Second, as the Second World War developed into a global conflict requiring the entire might of Canada’s economy, the armed forces needed more workers. 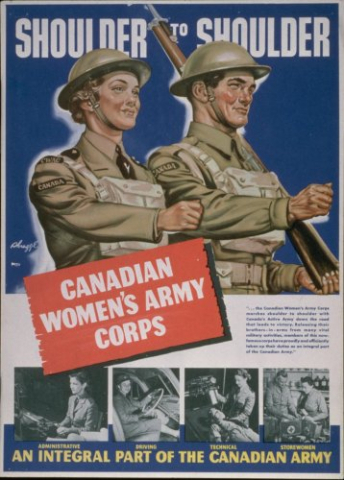 The Canadian Army established the CWAC on 30 July 1941, with recruiting starting in September. 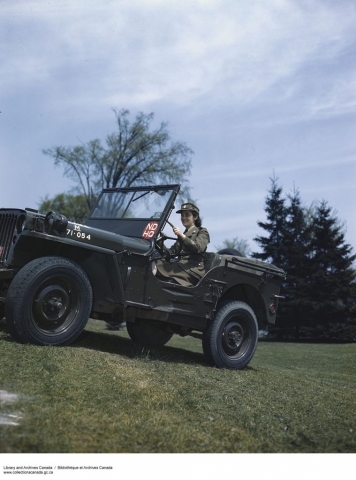 In March 1942 the corps was integrated with the army. 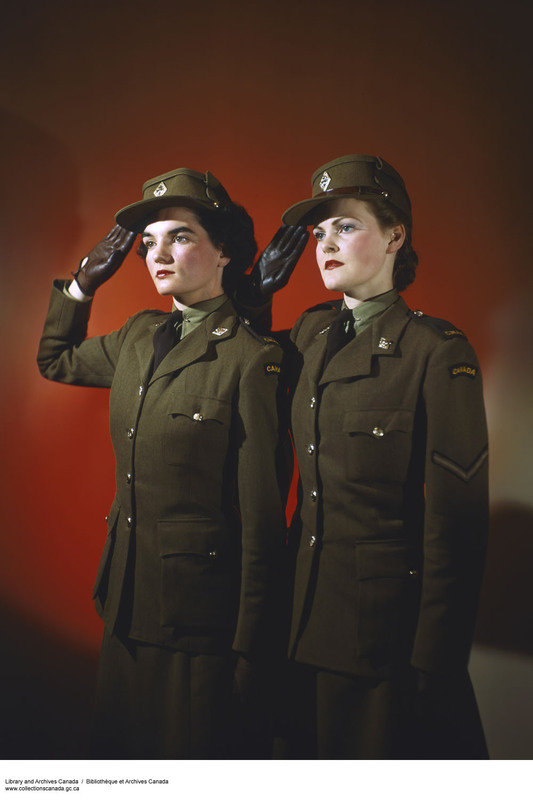 It adopted Canadian Army ranks and insignia, and its women were subject to Canadian military law. To join the CWAC women needed to be British subjects (Canadian citizenship came after the war) aged between 18 and 45. They had to be single, without children or dependants. CWAC recruits must have completed grade 8, weigh at least 105 pounds, and be at least 5 feet tall. Physical fitness was a big part of their basic training, so excellent health was also mandatory. CWACs served the Canadian Army in a variety of roles. Some were assigned traditional women’s duties like laundry, cooking, or sewing while others worked as clerical staff. 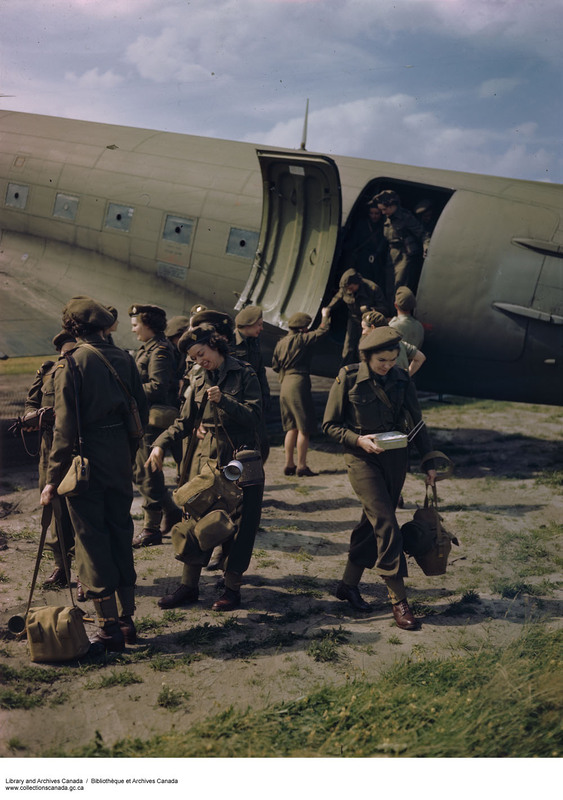 Others became medical or dental assistants, mechanics, switchboard operators, radar operators, or drivers. Most served in Canada but from 1943 hundreds served overseas at various headquarters. In 1945, 156 CWACs served in northwest Europe and 43 served in Italy, both active theatres of war. 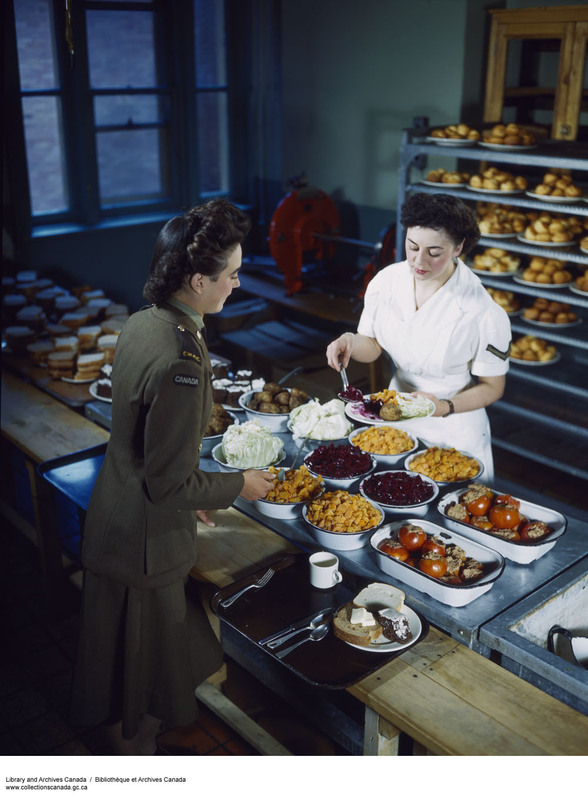 In total, 21,624 served in the CWAC between 1941 and 1946. 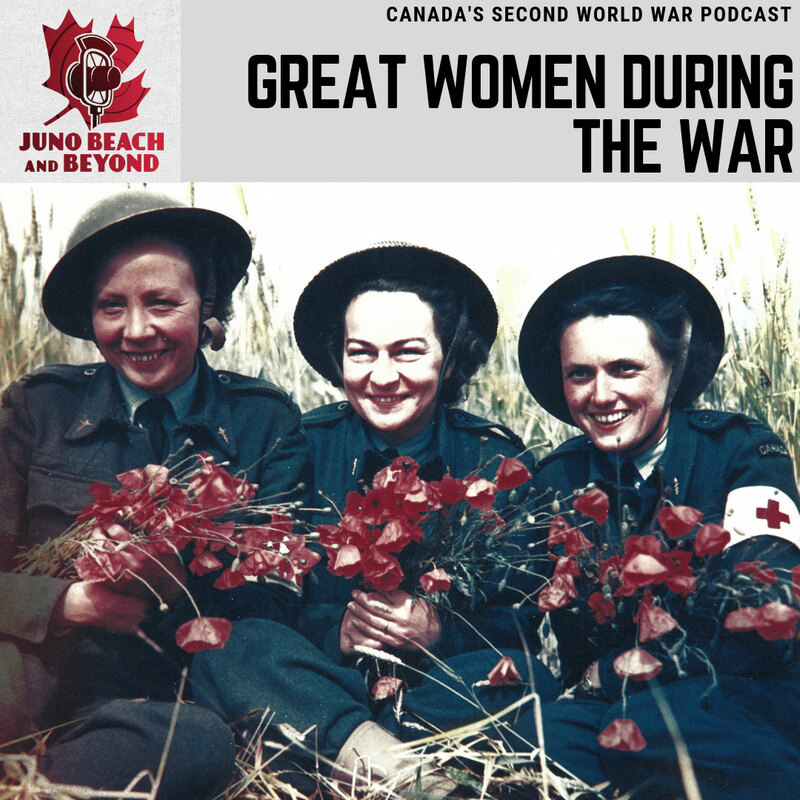 These women set precedents which led to the full integration of women in the Canadian Armed Forces. They also experienced discrimination: CWACs never earned more than 80 percent of the pay of their male counterparts. Some civilians (and military personnel) never approved of women working outside the home. 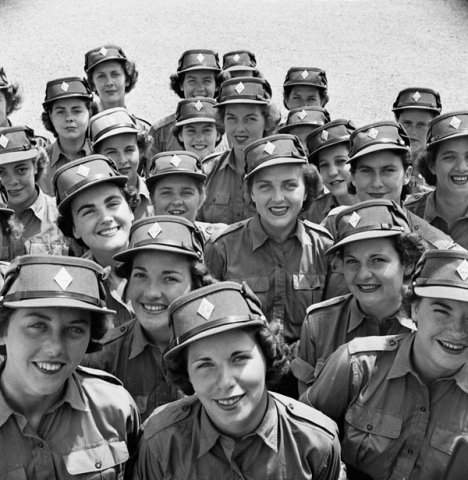 Their attitude was that only “bad girls” would join the service. Canadian Women’s Army Corps: Major A. Sorbie meets Commander Riley in England; C.W.A.C.s in secretarial duties; a draughtswoman; kitchen duties at their barracks, relaxing. From the Canada Carries On series, this is a tribute to the women of Canada for their part in the World War II effort. 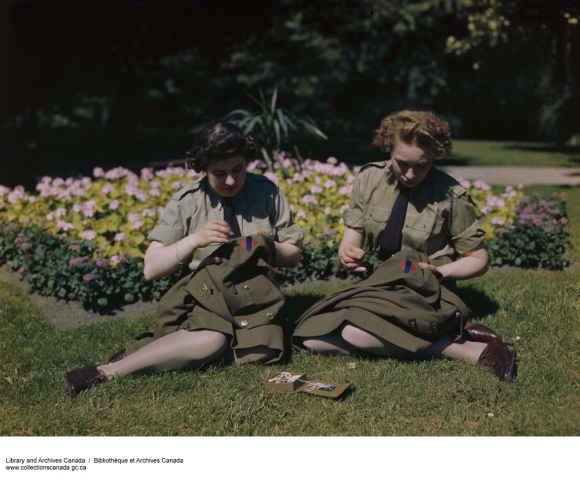 The Canadian Women’s Army Corps and homemakers alike were called upon to do their part. From careful budgeting in the home to services rendered overseas, women’s work was integral to the well-being of all.